Robert Daniel “Danny” Collins, age 70, of Dexter, passed away on Monday, December 3, 2018. Graveside services will be held at 2:00PM on Friday, December 7, 2018 in the Mount Carmel Baptist Church Cemetery. Rev. Calvin Halcomb will officiate. Pallbearers will be Blythe Dant, Kelly Collins, Chad Collins, Charles “Eddie” Patisaul, Dennis Akins, and John Knight. 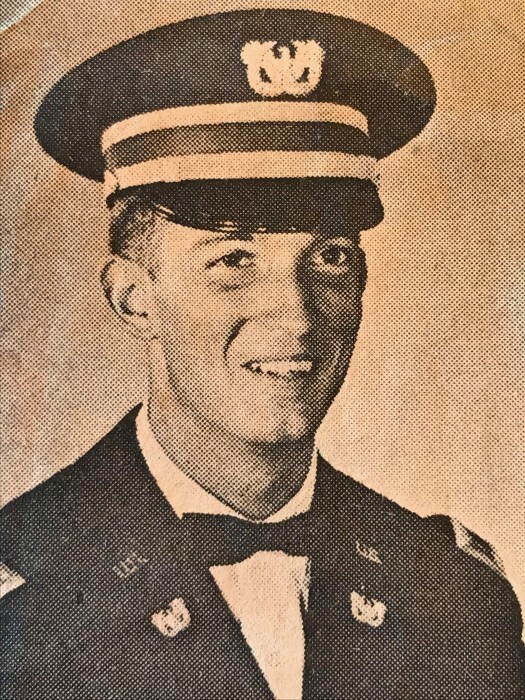 Mr. Collins was a 1966 graduate of Dexter High School. Following graduation, he obtained an Associate Degree from Middle Georgia College. Danny was a veteran of the United States Army, serving as a Chief Warrant Officer Aviator and Huey helicopter pilot during the Vietnam War. During Danny’s service in Vietnam he was awarded the following medals in precedence: The Distinguished Flying Cross (1), The Bronze Star (2), The Air Medal with V device (2). The Air Medal (2), The Army Good Conduct Medal, The National Defense Service Medal, and The Vietnam Service Medal. He was also awarded a citation from the Vietnamese government, “Augh-Dung-Boi-Tinh”, and the cross of gallantry with the Bronze Star. Danny was a member of Antioch Baptist Church. He was preceded in death by his parents, Robert Edwin Collins and Blanche Virginia Wood Collins. Survivors include his daughter, Leslie Collins Pittman, of Dexter; sons, Eli Collins (Kim) and Isaac Collins, both of Dexter and Virgil Gentry, of Adairsville, GA; grandchildren, Alex Pittman, of Dexter, Skyler Pittman, of Hattiesburg, MS, Morgan Collins, Avery Collins, Courtney Collins, and Zachary Collins, all of Dublin; brothers, Glenn Collins (Gerri), of Dexter and Woody Collins, of Townsend, GA; sisters, Wanda Akins (Dennis), of Brooklet, and Teresa Knight (John), of Dexter and 8 nieces and nephews.